To follow up with last month's travel post on the colors of Istanbul and to revisit a recent trip to Turkey, here's another view of the beautiful and diverse landscapes the country has to offer visitors. 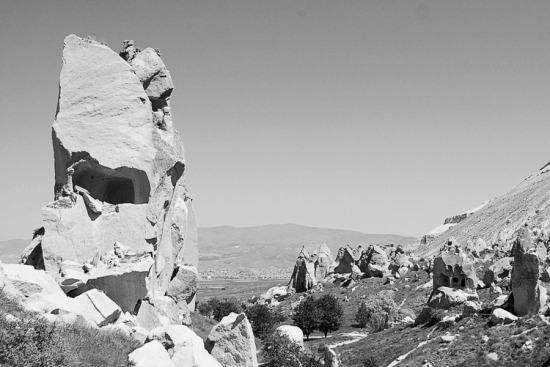 These photos were taken in the central region of Cappadocia, where the topography and climate have shaped both the natural and built environments to create a surreal visual landscape unlike any other. The images below of Devrent Valley (also known as Imagination Valley), highlight the magical, sculptural forms singular to this part of the world, created by thousands of years of erosion, wind and precipitation. 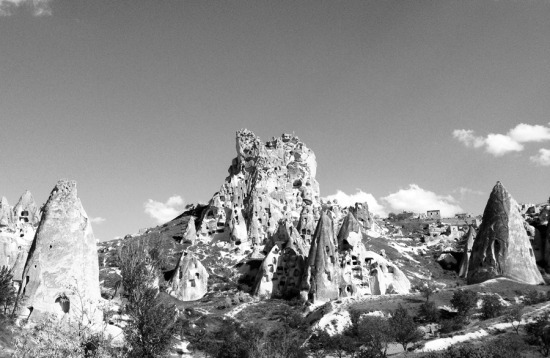 Villages in Cappadocia, such as Zelve and Pasabaglari, illustrate how this unusual topography has been adapted for human habitation, with communities of cave dwellings carved out of the rock formations. 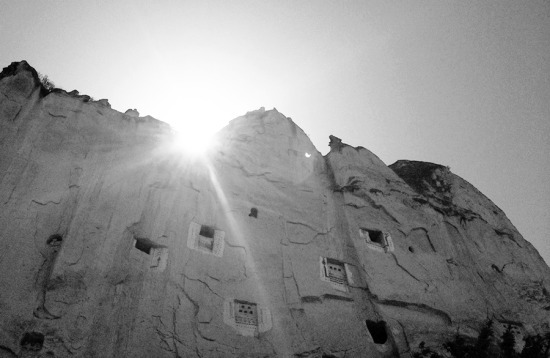 Particularly striking is the historic Uçhisar castle in Göreme, seen below, whose twenty-five floors of underground rooms and passageways served as a citadel during Roman and Byzantine eras. Nearby, the abandoned hillside dwellings of Pigeon Valley offer a glimpse of the magnitude and scale of this beautiful and unusual environment.